If you’re new to Veritas, Starting Point is for you! 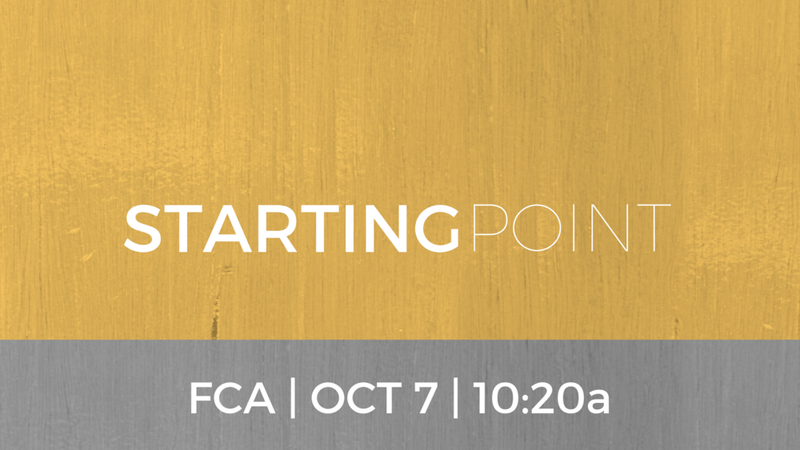 Starting Point happens on the first Sunday of each month immediately following the 9a gathering (we’ll start at 10:20a). This is a great opportunity for you to meet some of our leaders, hear more of our story and vision, understand more about how to get connected to the family at Veritas, and ask questions to get to know us more. We’re looking forward to seeing you!